The Middle East’s market for firefighting systems, fire detection and alarm systems, and emergency exit and lighting, is poised for solid growth and is likely to hit $3 billion by 2024, growing at a compound annual growth rate of nearly 8 per cent in the next six years, said a report, released ahead of Intersec 2019 expo in Dubai. One of the world’s leading trade fairs for security, safety, and fire protection, Intersec will run from January 20 to 22 at the Dubai International Convention and Exhibition Centre. The regional market witnessed a slight decline during 2014-2016, however from 2017 demand has picked up, aided by recovering oil prices and government economic diversification initiatives aimed at reviving the construction sector, stated the report by leading consultants 6Wresearch. Additionally, revised fire and life safety codes, such as those rolled out by the UAE Civil Defence in 2016, has helped growth in passive fire-rated products in new buildings and infrastructure, while adding further impetus to the retrofitting segment, where newer systems in line with current regulations are replacing older systems, it stated. The region’s $1.9 billion fire safety systems and equipment market will see solid growth, thanks to the new government regulations around life safety and fire protection along with large scale infrastructure investment among the key market drivers. More than 350 of those will be in the Fire & Rescue section, including the biggest names in the global fire and life safety business such as UAE-based powerhouses Naffco and Concorde Corodex Group, Honeywell from the US, Japanese-headquartered Hochiki, Drager from Germany, and Turkish fire truck manufacturer, Volkan. Frank Ackland, Eaton’s Middle East Managing Director said the regulations set out by the UAE Civil Defence for example, offer a much higher standard of regulation than has ever been seen before. "Eaton provides emergency lighting and fire detection systems for buildings and we’ve noted an increase in the levels of regulation that are being adhered to – not only to the set standard but also above in many cases," he stated. “All those involved in the construction process are placing greater importance of meeting, and exceeding, the standards set out. That doesn’t mean there isn’t more work to be done, and this is where we see a significant investment in retrofitting also taking place in the UAE, in order to make older buildings safer and in line with current regulations,” he added. Eaton will be showcasing a wide-range of products from its fire and emergency lighting divisions at Intersec 2019, including its adaptive evacuation exit luminaires which provide commercial buildings with the potential to redirect occupants to safety by adjusting the directions displayed according to the threat. "All Eaton’s solutions are designed with safety at the core, adding, “This is not limited to our life safety division products, and we’ve have noticed there’s a much greater emphasis placed on how power solutions can keep a building safe and mitigate risks caused by power fault or failure," added Ackland. Concorde Corodex Group is another regular Intersec exhibitor, and will showcase in 2019 its UAE-made emergency mobile solutions, such as fire trucks, ambulances, special vehicles, and hydraulic platforms, along with its static fire equipment, including pumps, cabinet extinguishers and fixed suppression equipment. Starting out as a two-man show with big ideas and a lot of hard work in 1974, the company now has two factories in the UAE with 1,500 people, and is widely regarded as one of the world’s most trusted exporters of life safety and fire protection solutions. Mohanned Awad, the regional director for Business Development at Concorde Corodex, said: "Much of this is thanks to its UAE roots. In the UAE, the natural status of our customers and partners is to be early adopters," he stated. "Our partners always request to think ahead of the curve; they don’t want to just solve the problem but to be able to prevent the problem and be two or three steps ahead of the problem," he added. Andreas Rex, Intersec’s show director, said the commercial and hospitality sectors are other key verticals driving demand for fire safety systems and equipment. "The big growth, particularly in the UAE will come over the next two years as delivery of the Dubai Expo 2020 looms, while throughout the Gulf region, large scale infrastructure investment will steer the market toward solid growth," he noted. “Intersec, situated at the heart of it all in Dubai, presents the ideal opportunity to access these markets and beyond, where thousands of engineers, system integrators, contractors, industry professionals and decision makers will seek solutions for their various projects,” he added. 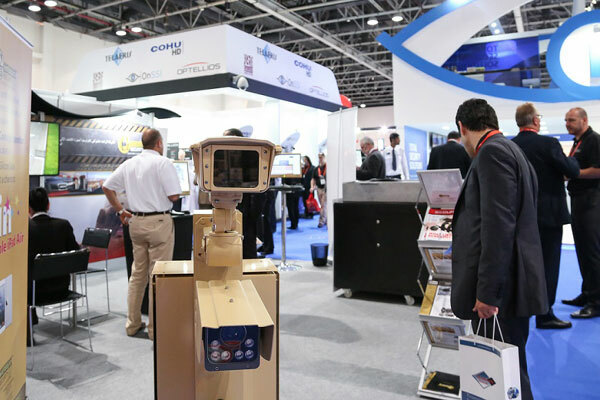 Intersec’s other show sections comprise Commercial Security, Safety & Health, Homeland Security & Policing, Physical & Perimeter Security, Information Security, and Smart Home & Building Automation.